This past weekend the Blueberry Files hit the road and traveled to Baltimore and Richmond to see my cousin get married. On our way to the house Friday night, Mom and Buck took us to Umi Sake in Timonium, a northern suburb of B'more. And I was super excited to chow on some sushi, because my stupid budget hasn't allowed for any recently (oh, Miyake, how I miss you). Mom came armed with a list of recommended dishes from her friend, a frequent Umi Sake diner. So after we ordered our drinks, we began tackling the extensive menu of Asian (Japanese, Thai, and Chinese) dishes. 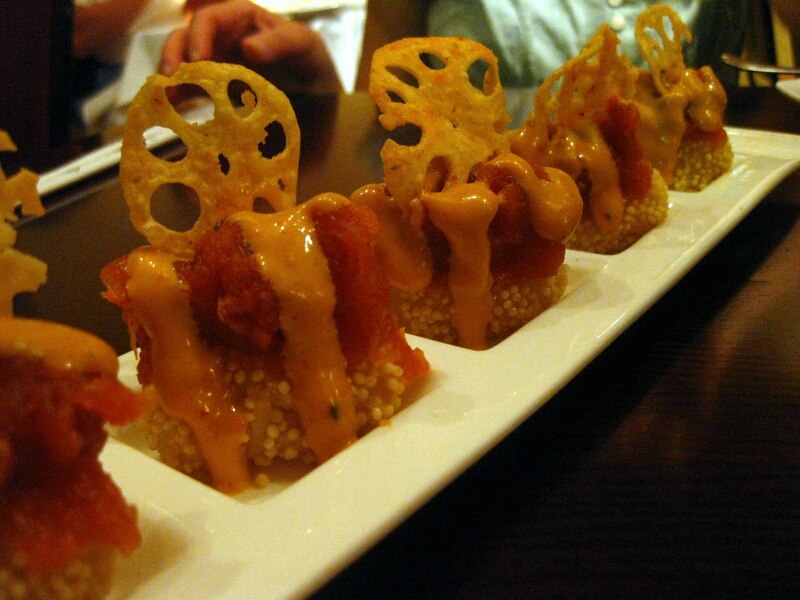 We started with the Crispy Spicy Tuna, a mix of spicy sauce and diced tuna piled high on crispy rice, like a delicious deconstructed spicy tuna roll (pictured above). 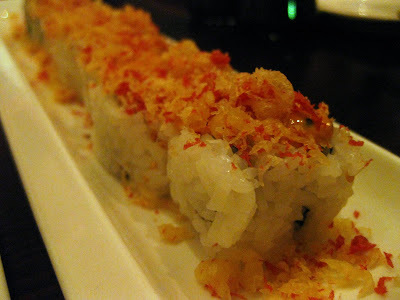 Next, the Crispy Triple 9 Roll, which of course I loved because I am a sucker for anything with tempura flake. Under all the flake is diced tuna, shrimp, and scallop mixed with spicy sauce. While neither of these spicy dishes were very spicy, they both were great. 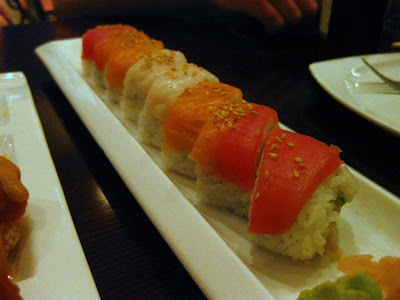 Someone ordered a Rainbow Roll, which was great, since it's not something I'd order myself. The fish wrapped around the California Roll was very fresh and the roll inside was huge, stuffed with smooth avocado and flaky imitation crab. 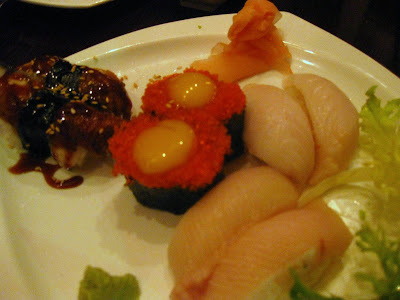 M. and I shared some nigiri: smoked unagi (eel), escolar (white tuna), manguro (tuna), and uzura on tobiko (quail egg and flying fish roe). The eel was nice and hot, not too sweet, and the tunas were both melty and fatty. I really do love tuna, and I hope the kinds I ordered aren't on the 'don't eat' list! I have to say, I passed on the egg sandwich there; by the end of the sesh, I didn't feel I could fit in even some tiny fish eggs. While not pictured, Buck got an amazing crispy beef dish that was reminiscent of the crispy Szechuan beef that everyone raved about at Kon Asian Bistro during our Tastes of Thai dinner there. It was deep fried and then stir fried beef that was tender on the inside, crispy on the out, and covered in a delicious sauce. Buck had to fend off forks from all directions! I can hardly recommend this place as the best in the Towson/Hunt Valley area (simply due to ignorance of the other offerings), but I definitely enjoyed my meal at the new Umi Sake. Escolar is NOT white tuna, it's not even close. White tuna is albacore tuna (bincho maguro). Anyone who knowingly serves escolar should have their restaurant license revoked. Escolar is also known as "oil fish". 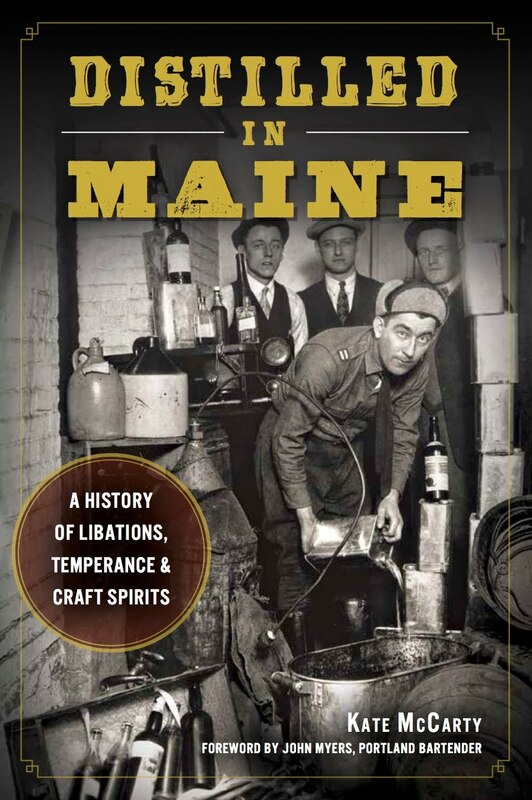 If you have more than a little bit of it, you'll soon find out why. The extremely high oil content makes it shoot right through you. No one in Japan eats escolar, only low quality cheapskates in the US think it's a good idea to buy low priced/low quality escolar and pass it off on their customers as albacore tuna. I'll know that if I'm ever in Maryland I should keep as far away from Umi Sake as possible since they have no clue about what fish should be eaten as sushi. Woah, take it easy! I ate some and didn't suffer any gastrointestinal distress, so I guess it wasn't true escolar! Whatever fish it was was delicious, and you're certianly welcome to not eat at Umi Sake if you so choose.